World Travel Show | 2N-Everpol Sp. z o.o. 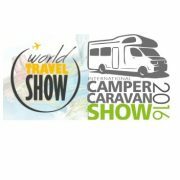 Zapraszamy na World Travel Show! http://everpol.pl/wp-content/uploads/2016/09/wts_visual.jpg 352 532 2N-Everpol http://everpol.pl/wp-content/uploads/2015/04/logo_2n_everpol.png 2N-Everpol2016-09-30 13:54:402016-09-30 13:54:40Zapraszamy na World Travel Show!